There are a lot of people asking the question, “Does the law of attraction work?”. Then the next thing they’ll say is, “I want to hear about some law of attraction success stories”. “Ask and it is given” (a quote from the law of attraction book by Esther and Jerry Hicks). You’ve asked and well shall give. Firstly, we know that the law of attraction works. However, we decided to do some research and bring you our own favorite stories from around the globe. There are 1000’s of stories on the official Secret.tv website and you can read about them here. However, we’ve narrowed this down a bit and picked the main topics that people want to know about. If you click on any of the links below, you’ll be able to read stories about that particular category. These are very inspirational accounts of ordinary people dramatically changing their lives. Maybe you’re the sort of person who is still a bit skeptical – after all, those stories could have been written by anyone? And you’re looking for real life success stories, right? Well, there’s nothing better than to look into people eyes, just to see how genuine they are. The following law of attraction videos should provide the evidence you need. You’ll also pick up some useful law of attraction tips when you go through them. The stories we found are from the USA, Ireland, UK, Australia, and Africa. There are stories where people have overcome all sorts of obstacles to find love, win money, grow businesses, and become educated – many against significant odds. I suddenly started dating Brad Pitt after putting his picture on my vision board. No, the following stories are much more realistic, yet all end with positive results. These are examples that we can ALL follow and see success with. You’ll find that some examples required a bit of application; whilst others were achieved with seemingly no effort whatsoever. These are our top 10 law of attraction video testimonials from YouTube (don’t forget the tissues before you hit the play button). Shelly Sullivan explains how she started walking in the forest, to be with nature. This relaxed her and got her in the right vibrational state. Then one day as she was doing the laundry, something bizarre happened to her TV, which was a massive sign for her (call it a law of attraction ‘nudge’). She was provided with the same numbers on more than one occasion. This was a sure sign that she was about to manifest big. She explains the significant of the forest walks in the video. Notice the feelings and high vibrational energy that she had just before her success. Finally, she shows photocopy proof of what she won. Niamh Arthur talks about her journey from study to entrepreneurship. Success breeds great feelings, which leads to even greater feelings. In lining up your feelings with what you want, you are looking for that ‘”secret sweet spot”. Not all stories about the law of attraction result in large house, or expensive cars. In the movie “The Secret”, you may remember that Lee Brower tells a story about a guy from South Africa, who had a sick son, and ended up selling gratitude rocks for charity. In this next video, Cindy Dayana Moya talks about her own gratitude rock moment. Remember to manifest big things, you have to start small. This is what gets you to believe that the law of attraction really works. 4. Oprah Talks – Law Of Attraction Stories: Strong Women Around The World! Now this wouldn’t be a decent list of manifestation stories without hearing from Oprah Winfrey. This video contains Oprah’s favorite manifesting a dream. If you think that the odds are against you to manifest your dreams, then just listen to this story. This story is from Law of Attraction Success Radio, hosted by Nat Couropmitree. Kim Brittingham talks about group intentional meditation. She talks about the importance of ‘feeling the emotions’ for what it is that you want. Liz Green provides some encouraging words for those suffering from illness or disease. By saying that healing is an ‘inside job’, Liz provides you with hope that you are in control of your own health. She talks about putting your focus, energy, and attention on feeling well, and not focusing on the disease. We don’t get to hear much about Liz’s actual story, but her positivity radiates through the screen. A reason for making it happen. An unshakeable will to do ‘the right things’. A powerful vision that it’s actually going to happen. What’s YOUR reason for hitting that goal? You might need the tissues for this one. Are you single and looking for love? Then this is the video you MUST watch. You may remember from the movie ‘The Secret’ where Marie Diamond spoke about an art director, who found love thanks to the law of attraction and Feng Shui. In the following video, Peter Davison talks about the basics of the law of attraction (ask, believe, and receive), which helped him attract his perfect partner. When you are in alignment with the universe, magical things happen. In “The Secret”, Jack Canfield spoke about attracting the $100,000 in order to publish his “Chicken Soup for the Soul” book. It was his first step on the road to entrepreneurship and it all came rather quickly. There is now a massive collection of different Chicken Soup for the Soul books. Check these out: Chicken Soup for the Soul Collection. In this next video, Jess Lanci talks about who inspires her and what she was able to achieve. Abraham Hicks – looking at the ‘feelings’ of abundance. 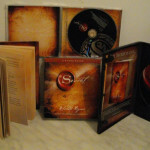 Rhonda Byrne (author of “The Secret“) – taking particular inspiration from our favorite book “The Magic“. Tony Robbins – Using his financial well-being advice, psychology, and creating an empire). Jess is now in the top 1% of Australia’s income earners – and it took just 7 months to achieve that. But the financial reward was just the start of her journey. But how did Jess do it? This video is about the attitude of gratitude. Appreciating what you already have to get more of what you want. Jess provides a brilliant tip right at the end of the video – no matter how bad your current circumstances are. This final video’s a bit different in that Doug Graham actually shows you EXACTLY what he did to get the $3000 that he manifested. It’s an interesting power of attraction technique, called a focus wheel. This is a much more powerful way of using affirmations. Want to make the law of attraction work for you? Undoubtedly, the law of attraction works; it’s just how you apply it which determines how successful it will be for you. We initially watched “The Secret” about 6 years ago and have been excited about the law of attraction ever since. In fact, the law of attraction helped the founder of Successful Personal Growth walk out on a 27 year finance career, to develop what we have today – sharing our personal growth knowledge to 1000’s of people all over the world every day. The law of attraction is about being in the right place at the right time. That time could be ‘right’ for you ‘right’ now. Recently we have reviewed the best manifestation / law of attraction course we have EVER seen. Take a look at our review and you’ll see EXACTLY what we mean. We hope that after mastering the law of attraction, you too will create your own reality and go on to be the next success story on YouTube…… and let us know too, so that we can feature YOU.